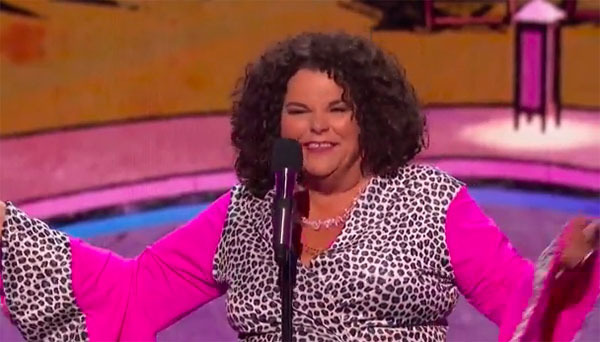 Stand-up comedian Vicki Barbolak drew laughs with another “Trailer Nasty” story on America’s Got Talent 2018 Season 13 Live Finals on Tuesday, September 18, 2018. “I love everything about you. You are hilarious,” said Heidi. “Tonight you are brilliant,” said Simon. “You made it funny. I get your sense of humor,” said Mel B. “You did great, your best act yet,” said Howie. Here’s how to vote for Vicki Barbolak. What can you say about Vicki Barbolak’s performance? Share your thoughts below.